Tired of growing bland buds? Here are four simple tricks guaranteed to improve the flavor of your homegrown cannabis plants. Searching for a way to make your cannabis taste better? The herb can be a difficult plant to grow, and it takes time and practice to master the art of cannabis cultivation. Yet, there are a few easy ways to automatically improve the quality, taste, and aroma flowers. Here are four simple tips for making your homegrown cannabis more flavorful. Many growers swear that outdoor, soil-grown cannabis has the best flavor and aroma. For home growers who lack access to expensive additives and high-tech hydroponic systems, this is claim is likely to be true. Soil can provide plants with a wide variety of nutrients that human-made solutions simply cannot. Nitrogen, calcium, magnesium, phosphorous, and potassium are all common additives to solutions and other growing mediums. Yet, plants also soak up other soil nutrients like boron, lithium, iron, and zinc. Plants absorb these nutrients with the help of beneficial soil microbes. A single teaspoon of soil can contain up to one billion bacteria and several yards of fungi. Unfortunately, humans know only a very small amount about the relationship between soil, microbes, and plants. It is known that these microbes work with your plant to release nutrients from the ground, sort of like an external digestive system. Putting your plants in soil, especially organic soil, sets them up for future success. It also gives them a very diverse food source, which may give them the fuel they need to produce delicious and fragrant resin. Some of the best gardening tools come right from the kitchen. Blackstrap molasses is some powerful stuff. Many growers treat their plants with a diluted blackstrap molasses solution to enhance the flavor and increase the growth of cannabis plants. While molasses itself does contain nutrients like calcium, magnesium, and selenium, this additive is mainly used as a carbohydrate to feed beneficial soil microbes. Soil microbes work symbiotically with plant roots, which excrete sugars which attract specific microbes that harvest nutrients from the soil. When used carefully, molasses feeds soil bacteria, giving your plant access to a wide variety of beneficial nutrients. To be successful with molasses, you only need a tiny bit. 1/2 tsp (2.5 ml) per gallon (3.4 liters) of water is all that’s need. Treat plants during the final three weeks before harvest. Molasses cannot be used in hydroponic systems. Humic acid is another additive that may improve flavor as well. While most potting soils are nutrient rich, they still may not contain some of the trace elements found in old, untouched, fertile soils. Fortunately, it’s possible to add some of these trace minerals into your outdoor plots or pots. 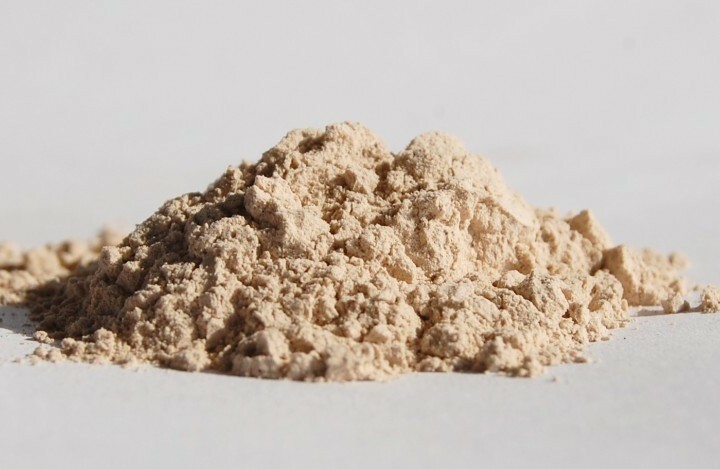 One of the most common products is AZOMITE® powder, which is mined in the U.S. state of Utah. AZOMITE® contains over 70 rare earth minerals, including many that are seen as essential. Adding these trace minerals to your soil will ensure that your plant doesn’t just produce a big yet flavorless flower, which can happen when you only supplement with the standard nitrogen-phosphorus-potassium concoctions. Just like aged wine and whiskey, getting the right cure for your bud can make all the difference between top-shelf delight and some dry, stale bunk bud. Some strains may have longer flowering times than others, so it is important to do your research before harvest. In general, harvested buds should be slowly dried in a room with about 50 percent humidity. The temperature in drying rooms is typically kept between 68 and 70°F (20 to 21°C). After drying, place buds in glass mason jars with a 65 percent humidity pack to cure. Place these jars in a cool, dark place for at least two weeks. 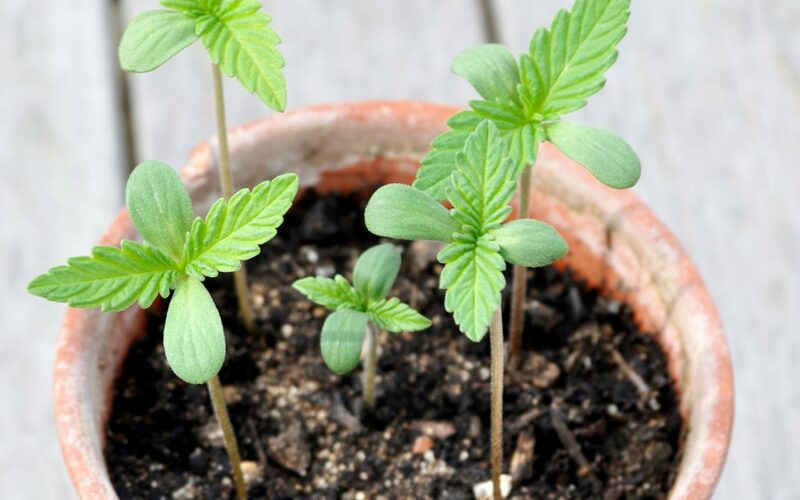 During that time, you may need to check on the buds to make sure that excess moisture is “burped” out of the container. If needed, open the jar for a few minutes to eliminate excess moisture. 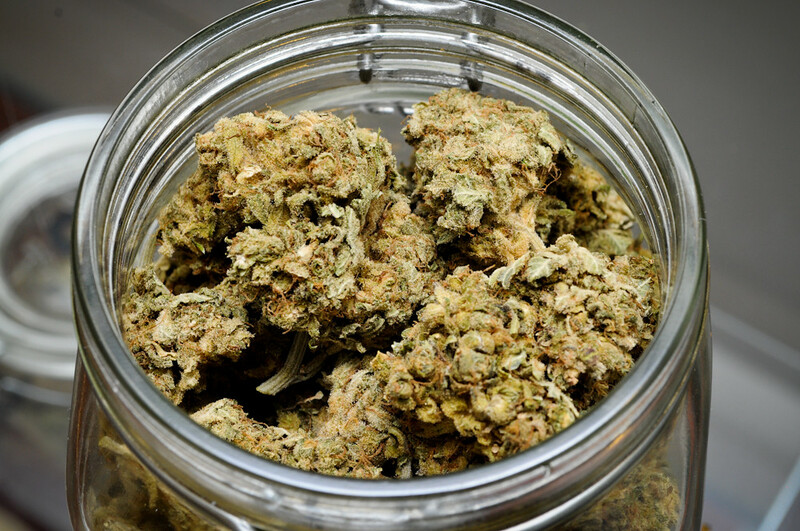 When properly stored, cannabis can be left in jars to cure for several months.